On Saturday 19th September I’m playing a new set for Dear Serge at Art in Romney Marsh. The event is the launch of Caleb Madden’s new multichannel installation, the sounds of which I’ll incorporate into my set. My set is loosely based on the structure of an Indian raga, beginning with a drone from Caleb’s field recordings of the Marsh’s wind turbines. 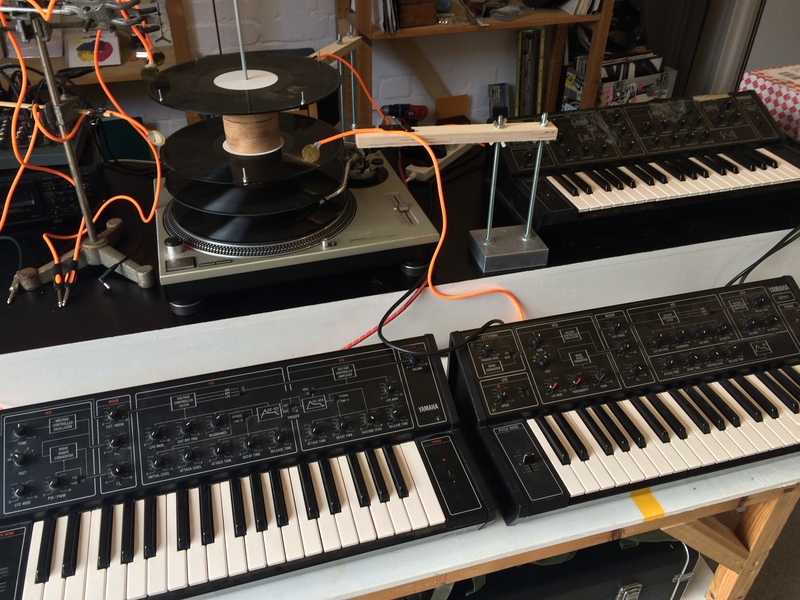 I’ll use the Mechanical Techno setup with three synths in surround and drum synth. Full info on the event here. A preview of the setup below. The planning for this set has come through my current residency at Machines Room, which you can read about on the project blog here: Rhythm & Drone // Research & Development.